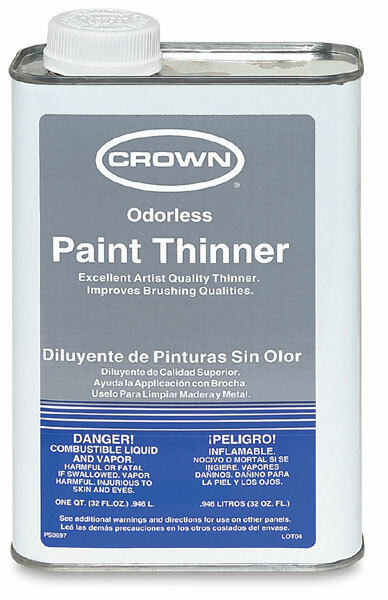 Artist's quality Crown Odorless Paint Thinner may be used in place of turpentine for reducing paint and for cleaning brushes, palettes, and spray equipment. Warning — Although Crown Odorless Paint Thinner is less toxic and flammable than gum turpentine, it should be used with caution. Follow directions for use carefully. Use only in a well-ventilated area. 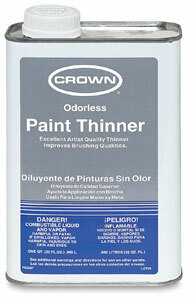 Crown Odorless Paint Thinner is not suitable for use by young children.